When Windows 10 launched, there was the quiet expectation that, finally, Microsoft would have a browser they could update on the fly, thanks to the capabilities of the OS and its integration with the Store as an app repository. When Windows 10 launched, it would be completely fair to say that the built-in web browser was in an unfinished state. With the ability to update it on the fly though, perhaps they would be able to make a dent in the juggernaut that is Google Chrome. But, as history has proven, the company has taken the stance that Edge will pretty much only be updated with major version updates of Windows, to the detriment of their users. Some of the update issues would certainly be tied to underlying API changes to the OS, but at the same time, the delay in releasing much-needed features such as extension support just moved more people to other browsers, and many of them will likely never come back. So that puts Edge in a tough spot. Likely nothing in Windows 10 has improved more since launch than Edge, but it still feels like it’s missing parts and pieces in various places. The good news is that with every update, it gets better. With the April Update, we have likely the most important update for Edge since Extensions shipped about a year ago with the Creators Update. Edge is now based on EdgeHTML 17, which has a lot of changes under the hood to improve performance, and the browser itself has quite a few new features. Let’s get the big one out of the way first. With the April Update, Edge now supports Service Workers, and that’s a big deal because Service Workers are one of the key components for Progressive Web Applications (PWAs). PWAs are a new class of applications based on web technology. You may have heard of this before, because this isn’t the first time its been tried. But with Service Workers, and several recent APIs such as the Push API, Notification API, and the Cache API, we’re at a point where it’s possible to create truly portable applications based on web technology. They can support offline mode, and interact with the Operating System, with a look and feel that seems like an app running on native code. One of the keys for PWAs is the ability to cache some or all of the data required for execution so that the PWA can be run in an offline mode, or for use in scenarios where network connectivity is not always guaranteed. Grabbing data from the cache can also help with responsiveness. The importance of PWAs can’t be understated. Anyone who has used Windows 10 will likely know there’s been a real shortage of quality applications in the store. The strength of Windows 10 is based on its legacy of Win32 apps, but the new Universal Windows Platform was never able to draw the kind of developer interest that it needed to take off. We’ve seen the company help the situation with tools like desktop app bridge, which has allowed developers to bring their Win32 apps to the store. PWAs are not going to fix the Store overnight, but thanks to the support of PWAs across several platforms, developers can bring their PWAs to the store much more easily. Microsoft has also added the ability for PWAs to be treated like their other supported Store apps, with live tile support, deep linking, and more. You can pin the Twitter PWA to your task bar, and then pin individual people you follow to your Start Menu. That kind of deeper integration is going to take more work by the developers, but the capabilities are there. And likely the best part of PWAs is that apps it should solve the issue of orphaned apps, which still exist but are never updated any longer. A PWA can be updated just by updating the backend service. Every Windows update, there’s always a bunch of smaller updates to Edge as well. With the April Update, you can now mute tabs by clicking the speaker in the tab bar, which is a welcome addition. It would still be nice to have a more obvious way to see which tabs have audio though, since the iconography used is a bit subtle. Edge has also picked up a more robust form fill feature, which lets you save your name, address, email, and credit card information when signed in with your Microsoft Account. This is a feature that’s very handy in password managers, so it’s nice to see here as well. There’s new grammar tools for the Reading view, which is also used for ebooks and PDF viewing. These aren’t for checking grammar though. The tools can highlight nouns, verbs, and adjectives, and break words into syllables to help with comprehension. Reading view can also be used full screen. Edge also supports “Clutter-free printing” which removes all of the extraneous information from the page when you’re going to print it. That’s a great feature, and should save plenty of trees, or bytes if you print to PDF. The elusive factor every browser wants to harness is performance, and the Edge team has made improvements here again. It’s not just about going faster though. Better performance means you can get the work done quicker, which can save energy, which is increasingly important with more and more mobile devices being used. 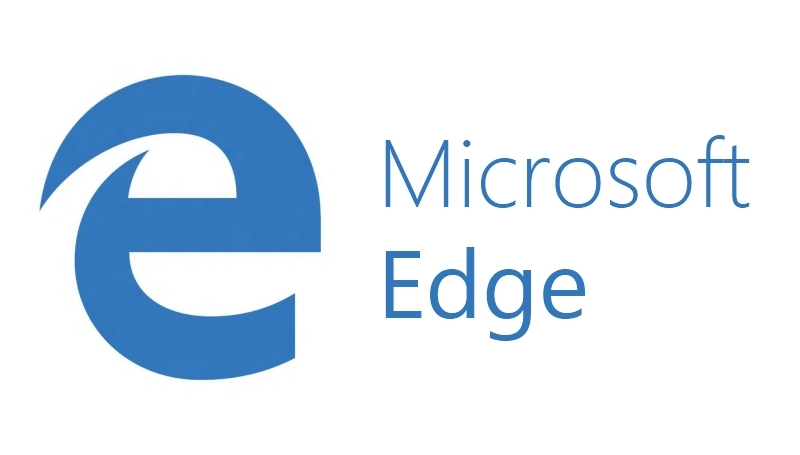 Edge has always touted its efficiency as one of is strengths, and it’s gotten better again. One of the ways they’ve done that is with improvements to GIF rendering, and GIFs are on around 20% of pages loaded on Edge, so these improvements can become big rewards. Page loading speeds should also be improved with page layout being rendered with content without waiting for images to download. Edge has also improved thread management with this update, which will create a more responsive input when the system is busy. On constrained systems, Edge input would be delayed, sometimes substantially, so these scenarios should be much more responsive. That’s also the case with busy pages, where Edge will now more aggressively interrupt tasks that are blocking user input. With the abundance of tabs that everyone always has open, the work taken up by tabs that aren’t in the foreground can be a draw on CPU usage as well, which ultimately means battery life. Edge will now intelligently suspend background tabs after they’ve not been accessed for a while, so in theory, Twitter shouldn’t slowly start to kill your computer when left open for a week. The tabs are then resumed when accessed, with the team saying most suspended tabs are resumed in less than 500 ms. In addition, Edge will now lower the page frame rate if a page is in the foreground but not being accessed to save power. This doesn’t impact 3D content or video, but if the page is interacted with again, it’ll go back to the normal framerate. Several years into Windows 10, Microsoft Edge has easily been the most improved part of the platform, with significant performance and usability improvements with every update. It’s always offered arguably the best high DPI rendering for text of any browser for Windows, and it has been coupled with good efficiency as well. The early days were pretty rough, with no extension support, and a host of missing features, but many of those have now been addressed. Browsers are very personal, and people get attached to the look and feel of what they use, so expecting people to flock back to Edge at this point is likely an unrealistic goal, but regardless, it is a key component of the platform, especially now with PWA support. The browser offers some features others don’t, and performance and usability has made some big improvements, and would likely work well for many users if they ever switch to it, but the real issue for Edge is that the competition never stands still, and they don’t have a must-have feature that will draw a lot of users back.